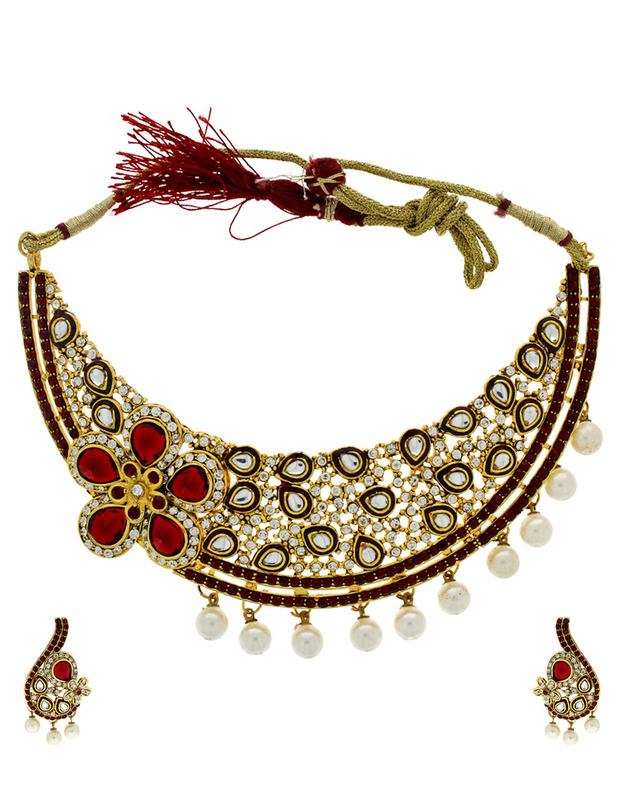 If you wish to look outstanding on festive occasion then you must pick this pretty maroon colour necklace set from Anuradha Art Jewellery. 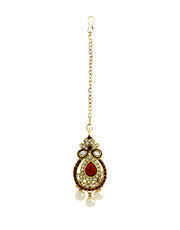 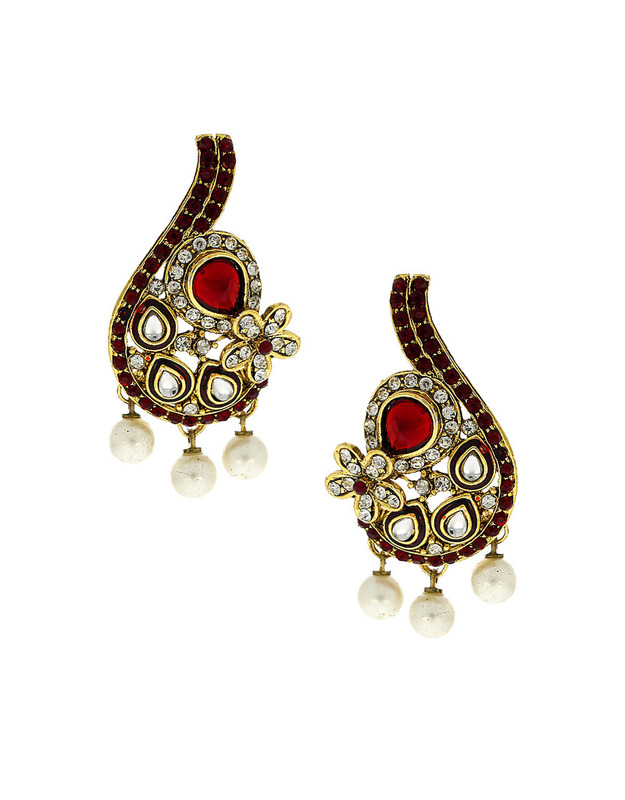 It is encrusted with maroon-white colour stones along with pachi kundan and has pearl droplets for added attraction. 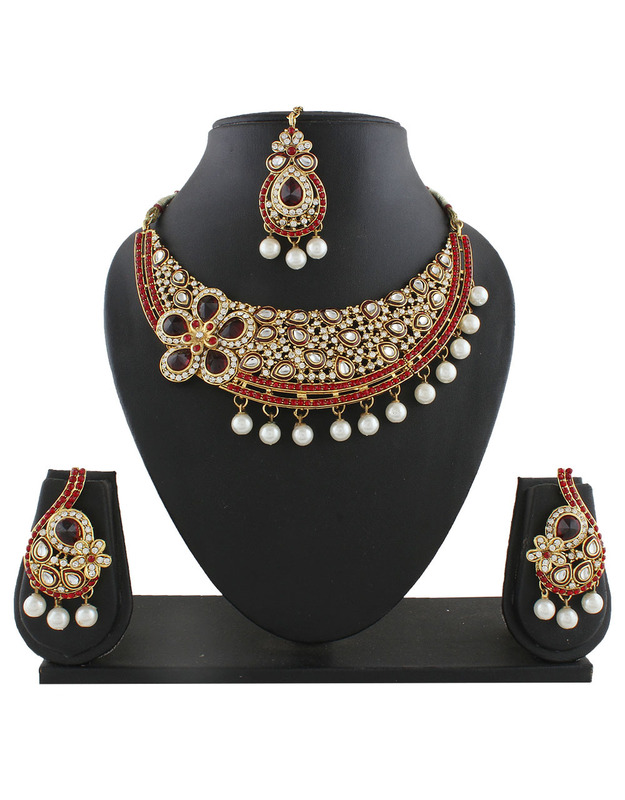 This metal crafted set comprises necklace, pair of matching earrings and maang tika. So order now! 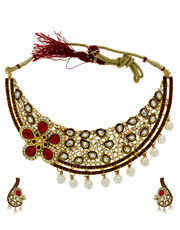 Necklace, One Pair Earring & Mang Tikka.